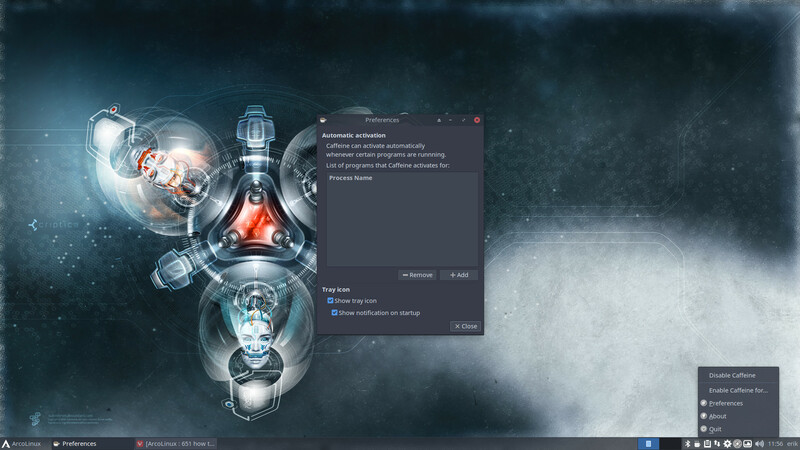 Caffeine is an application you can install to keep your computer “awake” at all times. Tray bar application able to temporarily inhibit the screensaver and sleep mode. You can change some of its settings but basically it is either on or off. Caffeine will autostart upon reboot (in the systemtray). You need to activate it. You will find the startup file in /etc/xdg/autostart.